Wurttemburg aftermarket Porsche wheels from Victor Equipment is a cutting edge hybrid style of dynamic angles and precision detailing. Wurttemburg aftermarket Porsche wheels from Victor Equipment is a cutting edge hybrid style of dynamic angles and precision detailing. Unique webbing casts a nice highlight for each window as it intersects the barrel and compliments the mechanical chiseled sculpting upon each undulating spoke. This split tapering variable design is a nod to the Porsches core technological progression of style. The Wurttemburg custom wheel is available in our very classy dual Matte Black with Gloss Black face finish as well as a striking gloss gun metal with a mirror-cut face. The Victory Equipment Wurttemburg are re-spec’d to precisely fit each vehicle in the Porsche model lineup, with sizes, load ratings and offsets geared specifically to the target vehicle, from Boxster to Cayenne and everything in between. And each has a center bore engineered to fit snugly over your Porsche’s hubs, for a fitment without adapters or spacers and for a smooth, vibration-free ride. 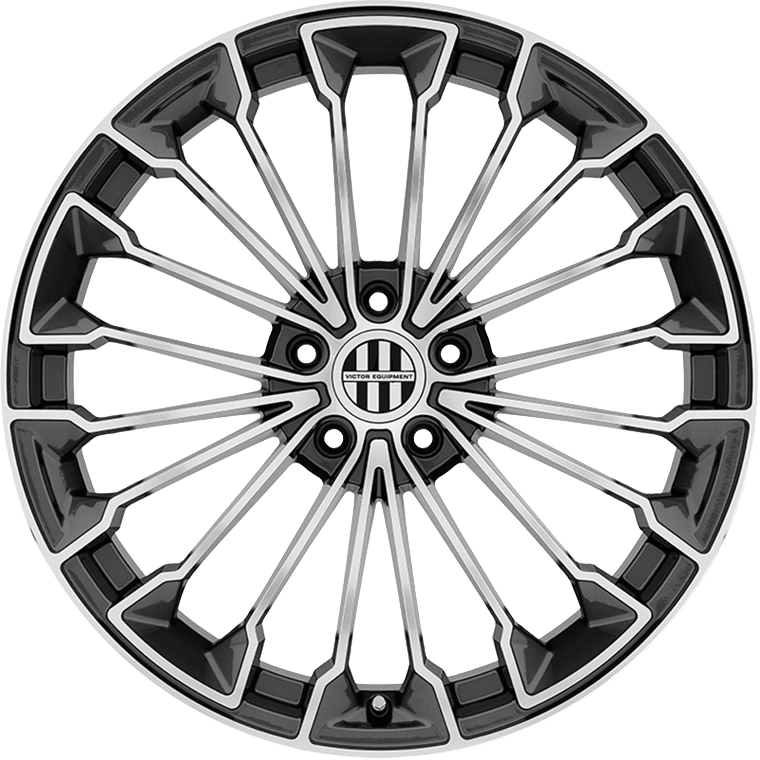 Wurttemburg wheels are available in a wide array of staggered fitments from 18 to 22 inches in diameter. The Wurttemburg Rotary Forged® Wheel /RF™ Wheel is manufactured using a highly advanced production technique called Rotary Forging® /RF™. The rim of the wheels is forged at high pressure while the wheel is spun at high speed. This alters the molecular structure and enhances the strength of the alloy. The benefit is a much lighter weight than a regular cast wheel. Most importantly, the weight saving is in the outer rim of the wheel which dramatically reduces rotational mass and enhances vehicle performance.